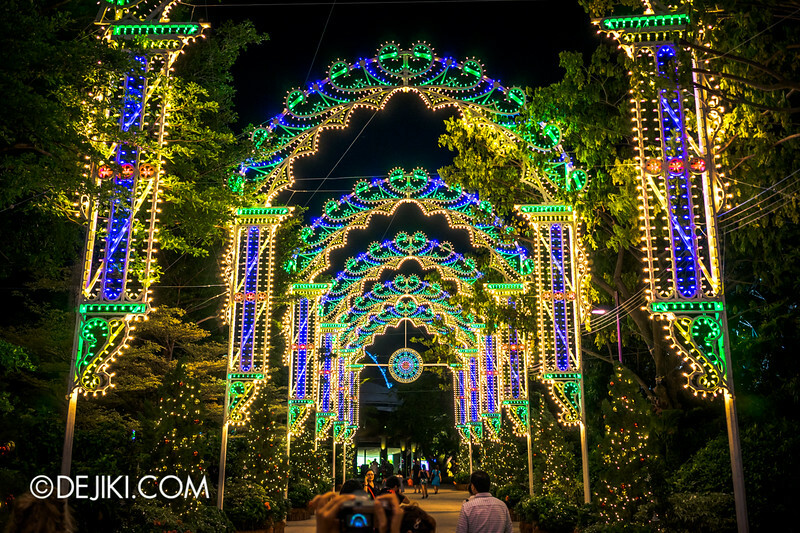 Discover beautiful sights this season at Gardens by the Bay’s Christmas Wonderland, where enchanting lights set a new Christmas tradition at the Bay South Gardens! 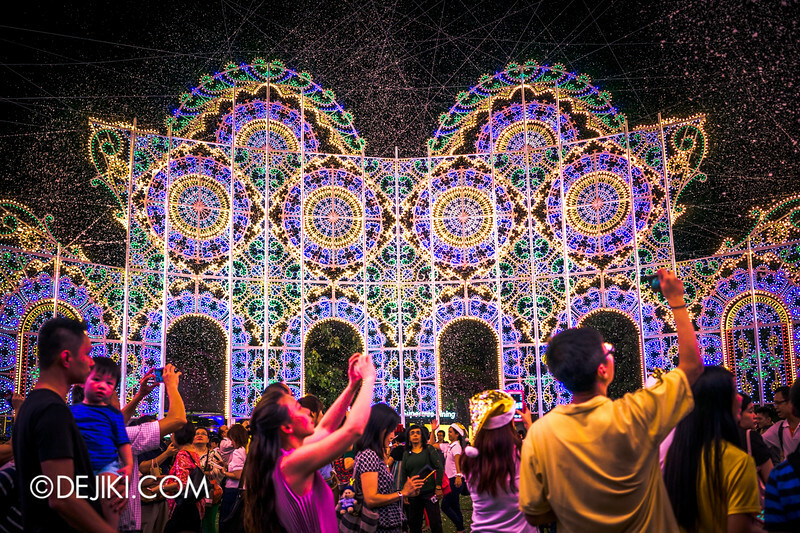 Light sculptures from Italy, known as Luminaries can be found around the Bay South Gardens, with most of them circling around the Supertree Grove. 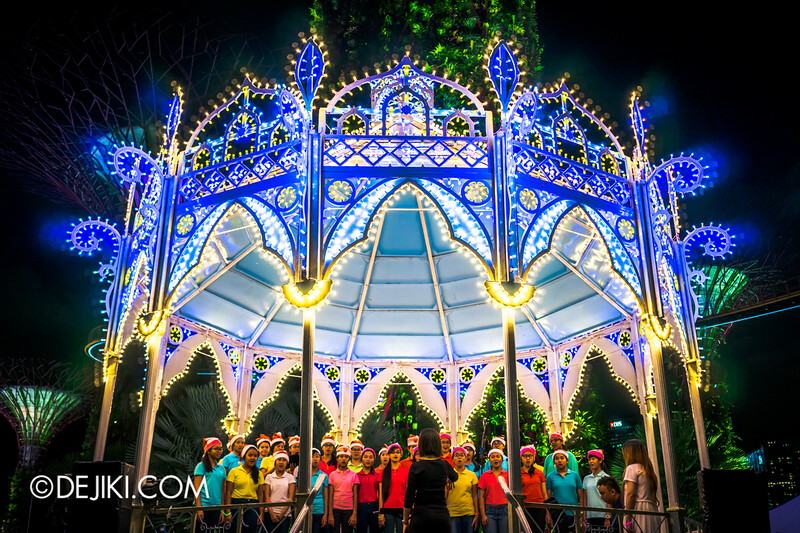 The Casa Armonica – a gazebo at the heart of the Supertree Grove – hosts several choirs throughout the event. 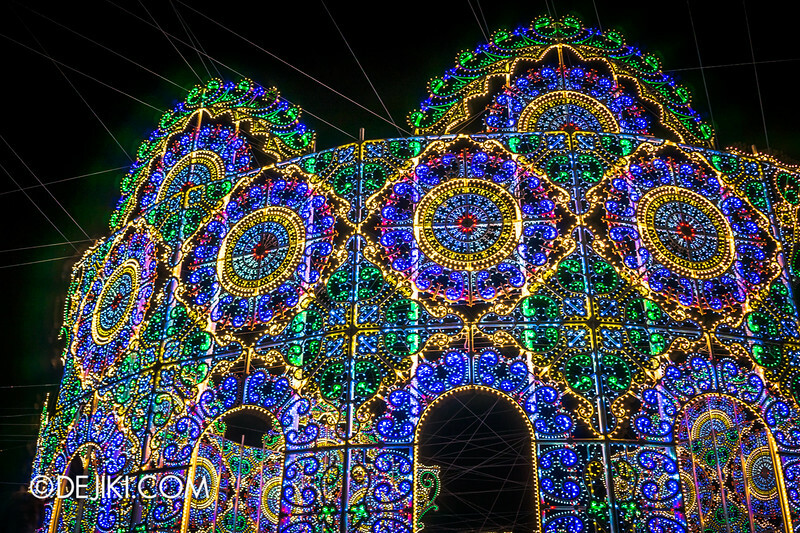 The largest installation is the Spalliera, which stands at about 17 metres high, encircles visitors in a vivid stream of light. (Artificial) snow falls here three times a night. 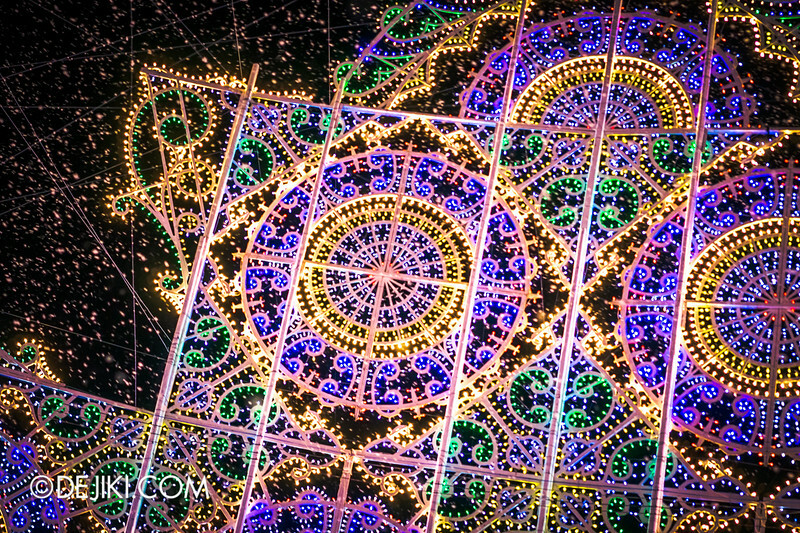 Spellbinding – that is to stand right in the center. 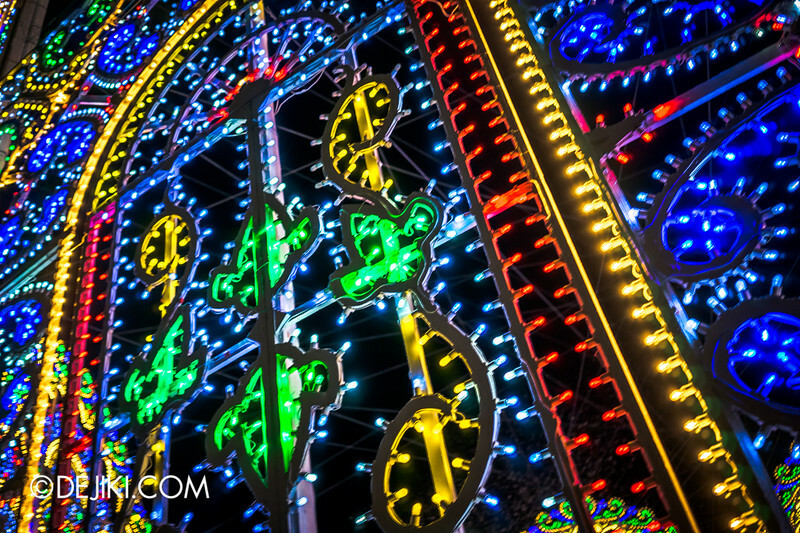 The light sculptures, made by one of three remaining families in the trade, beautifully light up the Gardens in a myriad of colours. 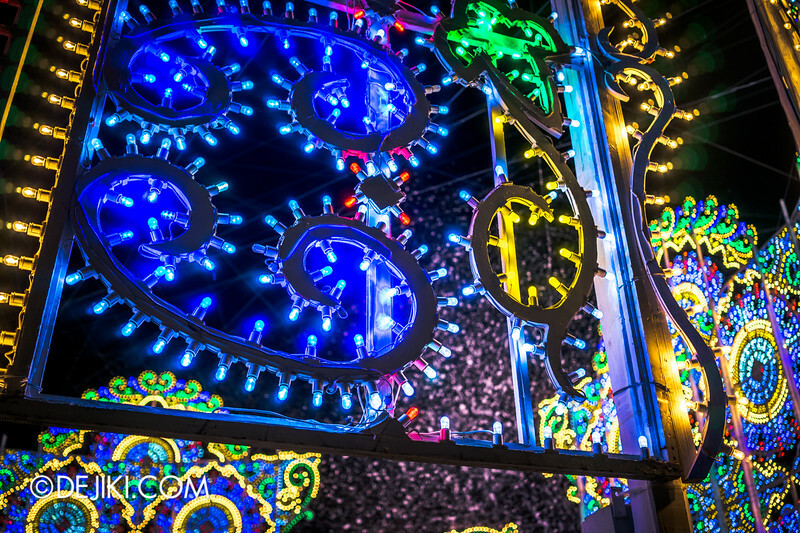 The Luminaries will be on display until 1 January 2015. The installations that are outdoors (such as the Spalliera) are free to all to enjoy. 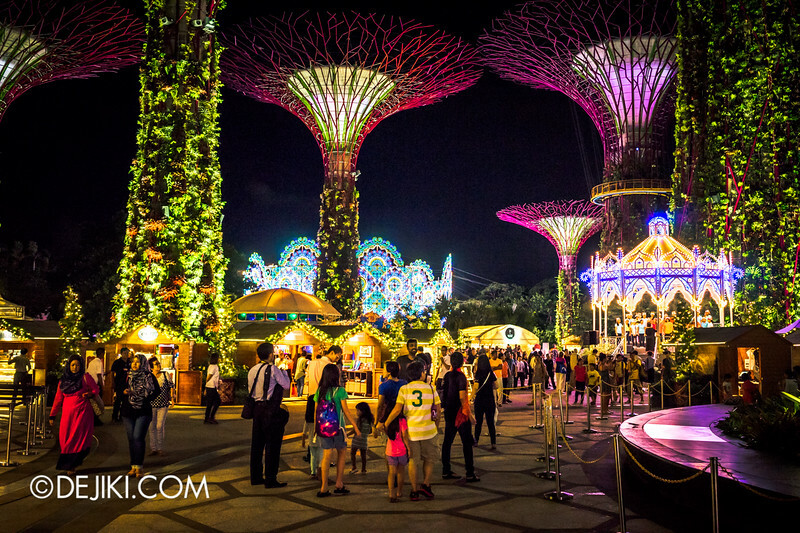 Inspired by famous Christmas markets from around the world, the Festive Market at Supertree Grove is the place to grab some unique gifts and enjoy some food while walking around the Gardens. 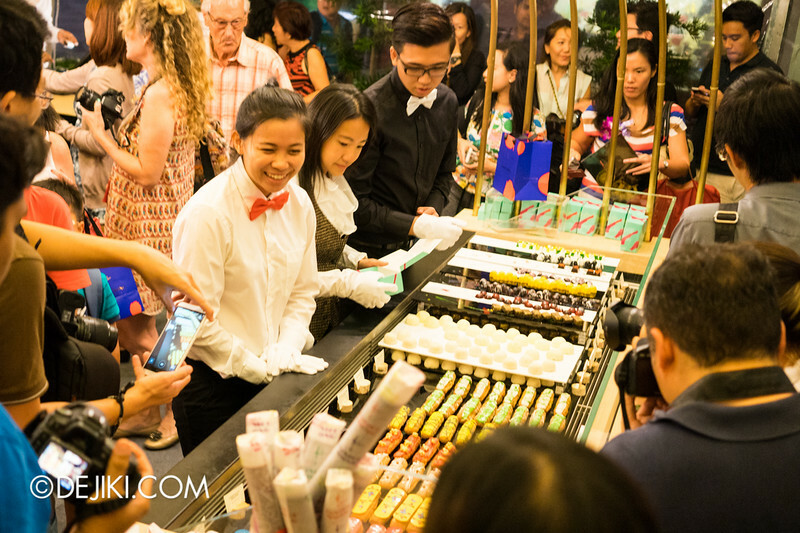 One of the pop-up stores is Janice Wong, notable Singaporean pastry chef of 2am:dessertbar, who designs sweet treats with a whimsical touch. 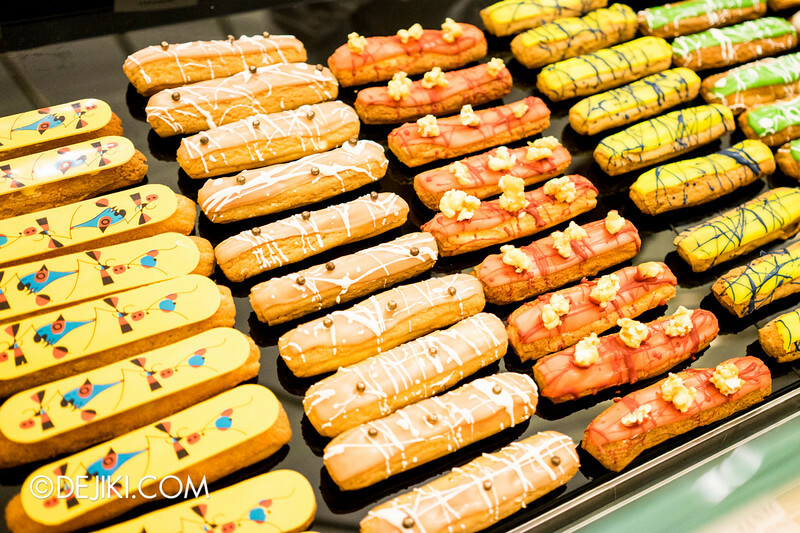 Artful eclairs, from $8 each. 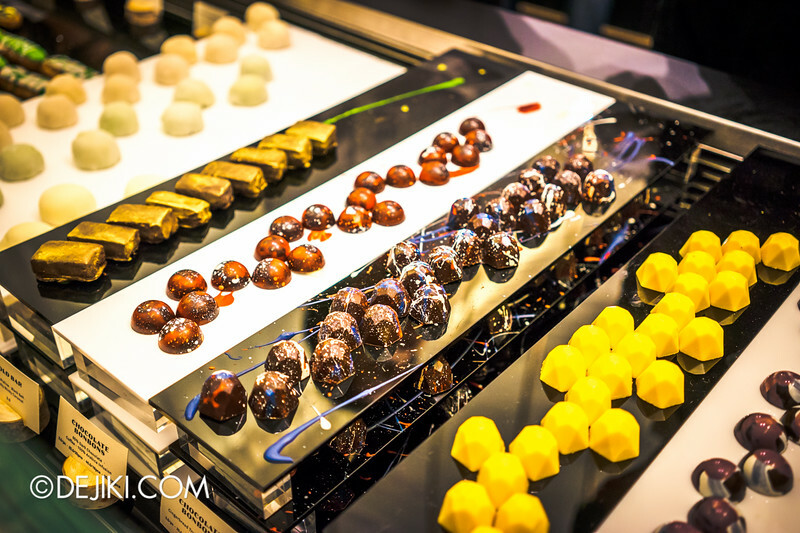 Bonbons in all sorts of forms and colours, from $2.50 a piece. In the spirit of playful (and delicious) desserts, you can grab a few of these chocolate paints and create your own edible art. 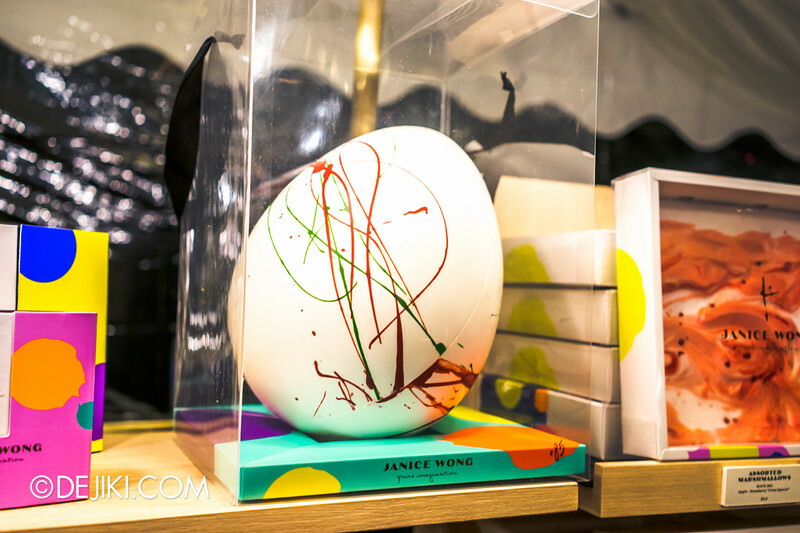 Or grab one of Janice Wong’s creations – from chocolate balloons to picture frames stuffed with colourful candy. 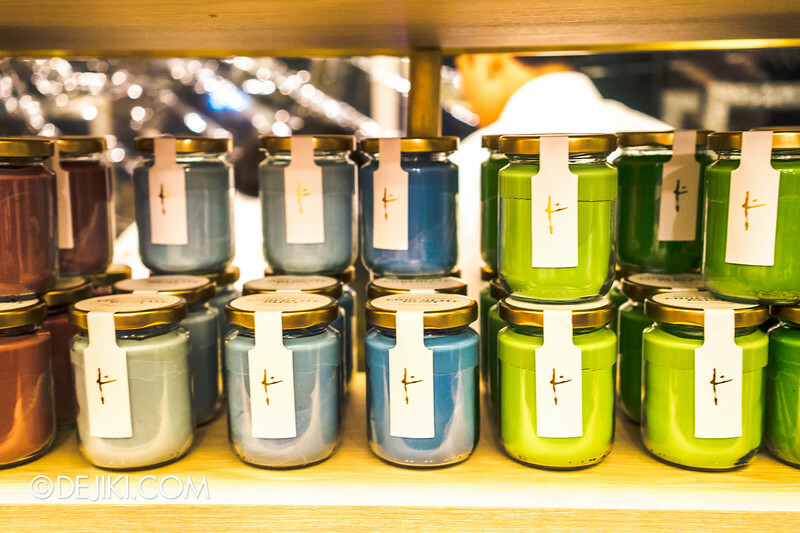 The exquisite desserts are not cheap, but they are certainly unique and would make great gifts this season. 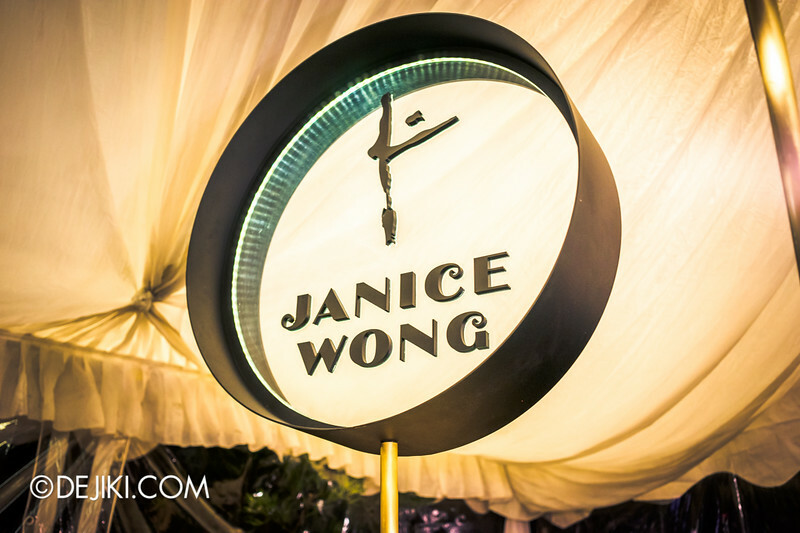 Can you spot Chef Wong here? 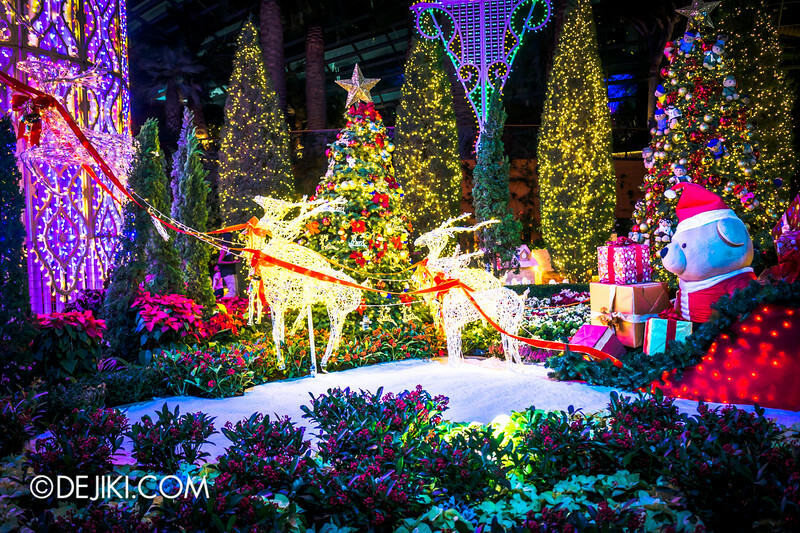 The lights continue into Yuletide in the Flower Dome, an enchanting Christmas-themed display that will be shown from now till 6 January 2015.